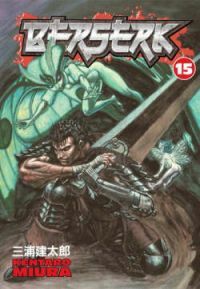 From his days as a young mercenary to his time as captain of the Band of the Hawks' Raiders, Guts's life has been defined by his ability to fight and his will to win. Now cursed with the Brand of Sacrifice-a sigil that will forever mark him as prey for the damned-and with his companions dead, his lover's mind destroyed, and his one-time commander and friend reborn as a malevolent demon lord, it seems that more than ever Guts must rely upon his instinct to survive. But Hell has many faces, and when what appears to be an innocent country village proves to be a den of tragic secrets, the horror of a fairy tale perverted by pain and hate may prove to be more than Guts can handle!